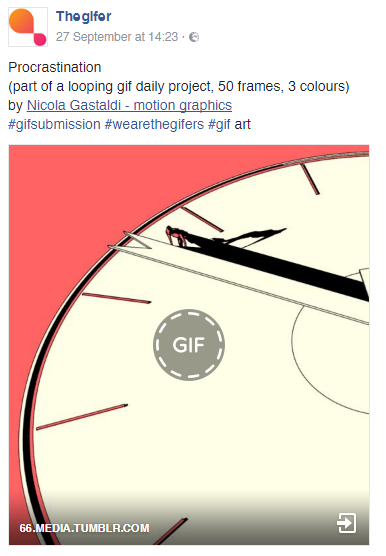 theGIFER festival is an art gif festival held in Turin from the 2nd to the 6th of November. I submitted my gif Procrastination and has been accepted. If you like it, go and like the gif on their facebook page! Newer Post GastaLoops at the Festival Gif	Older Post GastaLoops on Wired Italia!